He’s an actor, producer, rapper, and songwriter. 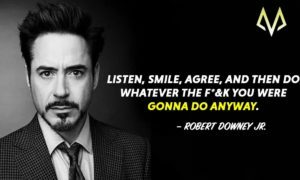 Newsweek called him “the most powerful actor in Hollywood” and is the most bankable star worldwide according to Forbes. He’s worth over $250 million. He’s Will Smith and here are.. 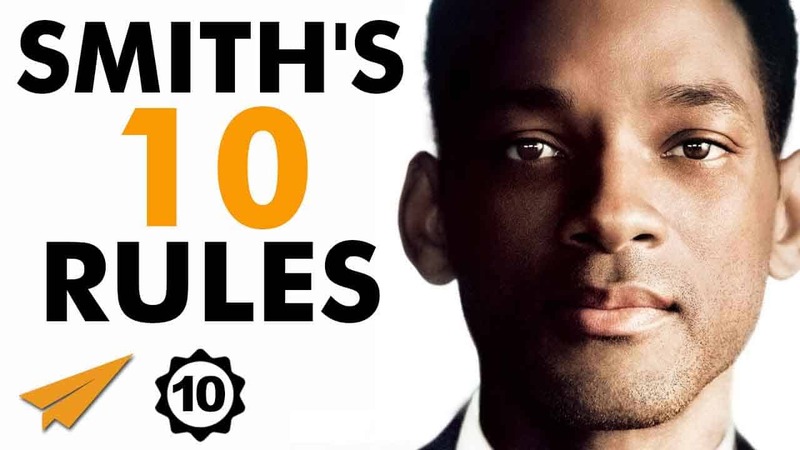 The Top 10 Will Smith Rules for Success. Don’t let other people tell you what you can and what you can’t do. Don’t let their assumptions stop you from doing what you love or what you think is best for you. Other people will always try to stop you if you decide to do something that’s different than what they are doing, because that’s how society works. Take charge of your life don’t let others make your decisions, if you believe in something, take the leap of faith and see where that leads you – if you fail, good – you gained valuable experience; if you succeed, well you succeeded. Period. There’s an Arab proverb that states that you should write the bad things that happen to you in the sand, so that they can be easily erased from your memory. Your past doesn’t define you, and where you are is just temporary. If you are feeling stuck, it’s time to rewire your brain and focus on the bright future ahead of you. When you discover and live true to your life purpose in the highest possible way, your soul will “sing” in a way you’ve never “seen” before. It’s a feeling you’ll know when you realize it. It doesn’t matter who you are, where you’re from, or what you do. As long as you wish to live a more meaningful and conscious life, you need to have a life purpose. You will absolutely never succeed if you don’t stay committed to your decisions. Never. 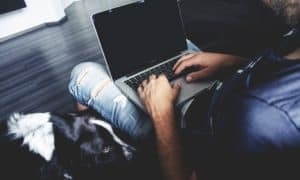 It took me 6 months to start earning from my blog, 6 months where I didn’t have support from my family, nor my friends, but that didn’t stop me and I managed to create one of the most successful blogs about self improvement and a Youtube channel that has generated more than 30 000 000 views and everything happened because I stayed committed. “The only thing that I see that is distinctly different about me is I’m not afraid to die on a treadmill. I will not be out-worked, period. You might have more talent than me, you might be smarter than me, you might be sexier than me, you might be all of those things you got it on me in nine categories. But if we get on the treadmill together, there’s two things: You’re getting off first, or I’m going to die. It’s really that simple, right? The separation of talent and skill is one of the greatest misunderstood concepts for people who are trying to excel, who have dreams, who want to do things. Talent you have naturally. Skill is only developed by hours and hours and hours of beating on your craft. 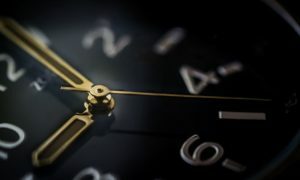 Most people see the outcome, they don’t see the hours that’ve gone behind it, they don’t see the hustle – they think it’s about talent, but that’s not the case. You know famous athletes that earn millions of dollars overnight – footballers, basketball players, tennis players – you think it’s all about talent? These guys have been mastering their craft since the age of 7. And I challenge you to work on your craft for 20 years as they did and see how far this gets you. F.E.A.R – ‘Forget Everything And Run‘ or ‘Face Everything And Rise.’ The choice is yours. It’s not easy to face your fears and push through them, but it’s essential in order to succeed in life. You don’t have to be amazing at first, but if you follow all these tips – you will become amazing at your craft. And from that point on, you will be unstoppable. Keep rocking guys! What lesson did best resonate with you and who do you think should Evan Carmichael future next on his Top 10 series? Share your thoughts in the comments below and I will make sure that he receives the feedback. About The Author: Hey guys, I am the founder of MotivationGrid.com. My goal is to inspire people and help them become better. You can support me by subscribing to my YouTube channel - more than half a million people have already done it! Wow Mayana, that’s so awesome! And I would love to see a picture of that tattoo once you make it! Your work is giving me strength. Thank you, Cris! That’s awesome, Charesta! How did it go? Will Smith is one of the best alchemists to listen to on how to create your ideal life. I just came across his review of the Alchemist by Paulo Coelho where he was talking about being successful. He talks so much about the power that making a CHOICE has. You just decide you’re going to be successful, and what you want. Then you outwork everyone or die on that treadmill. Hopefully y’all know what I’m talking about! Love the outstanding work you’re doing here and would like to thank you and ask for more. Copyright © 2016 MotivationGrid LTD.